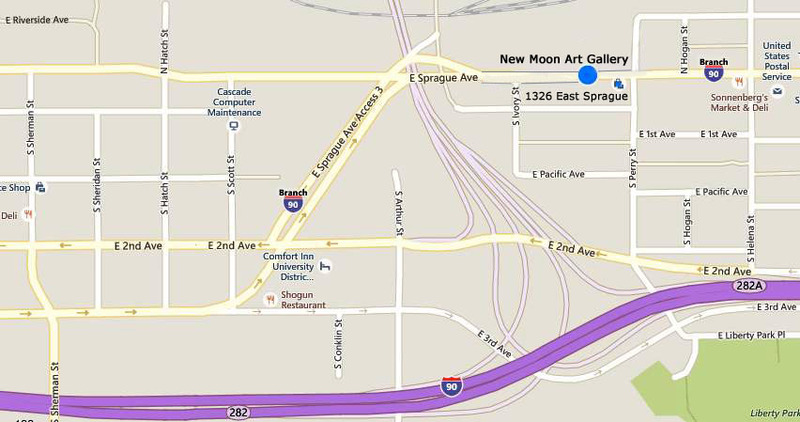 ﻿Contact the New Moon Art Gallery! To receive our quarterly newsletter, workshop updates and personal invitations to our private art events, you'll want to add your email address to our mailing list (you can easily unsubscribe at any time!). Please note that if you have a gmail account they will direct many of our mailings to your "Promotions" folder. Parking is free and easy with an attached parking lot in the back and plenty of street parking out front.